He has been practicing for over a decade and specializes general dentistry, implants, laser therapy, and cosmetic dentistry. 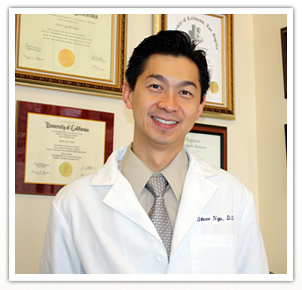 With dual practices in Las Vegas and Orange County Dr.Ngo is committed to continuing education and he belongs to numerous dental, and surgical organizations. Dr. Ngo is passionate about providing the best quality care for his patients, and he would like to invite you to experience the difference at Image Dental. He is a graduate of the prestigious UCLA dental school, and he also completed a residency in advanced general dentistry at UCLA.